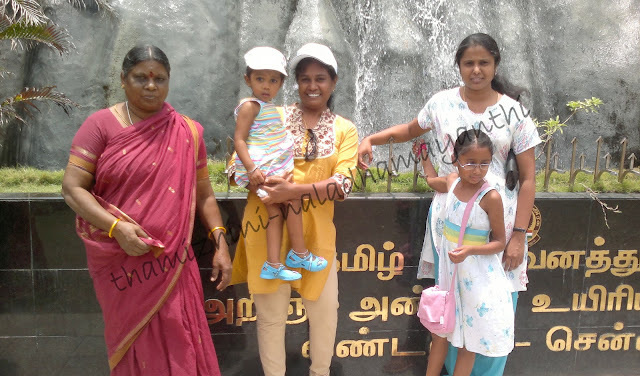 This is Thamizhini's second time to visit zoo and I think she never bored to visit again. We had visited in the month of March of this year and after five months we visited today again with Iniya (Nalin's niece). 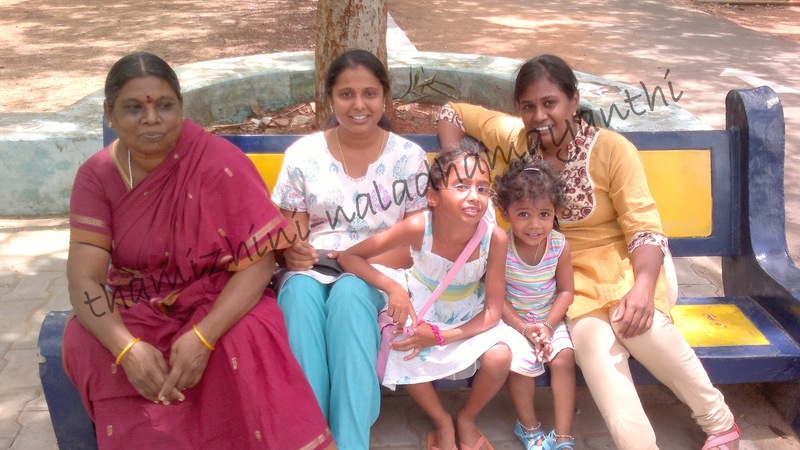 Thamizhini was eagerly waiting to meet Iniya today and they came early morning around 6. 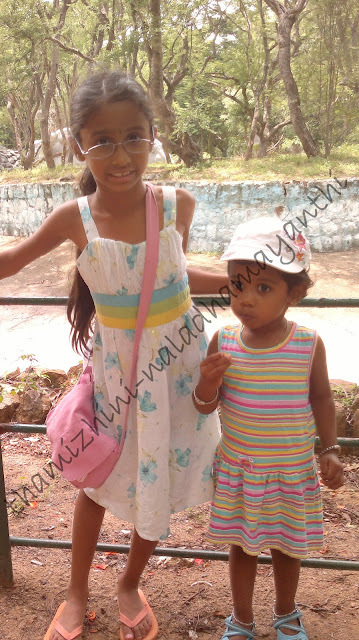 But Thamizhini woke up around 7:30 and once she saw them, she was so happy and shy too. We have given few choices (???) of the places to visti to Iniya and she was not ok with any of the places. 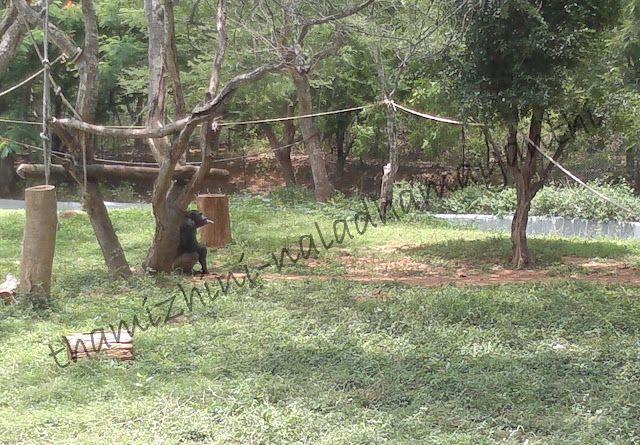 So we chose Zoo :D We thought that kids can enjoy sometime playing and running here and there. The day was very much sunny, but still we started around 11 in the morning and reached there within half an hour. We entered inside the zoo after getting entry ticket. The entry set up was good and it was not there last time when we visited, i guess there were renovating that time. Kids were happily walking and looking around each cage and we were telling Thamizhini about each birds / animals. Yeah, we have told the samething last time too! 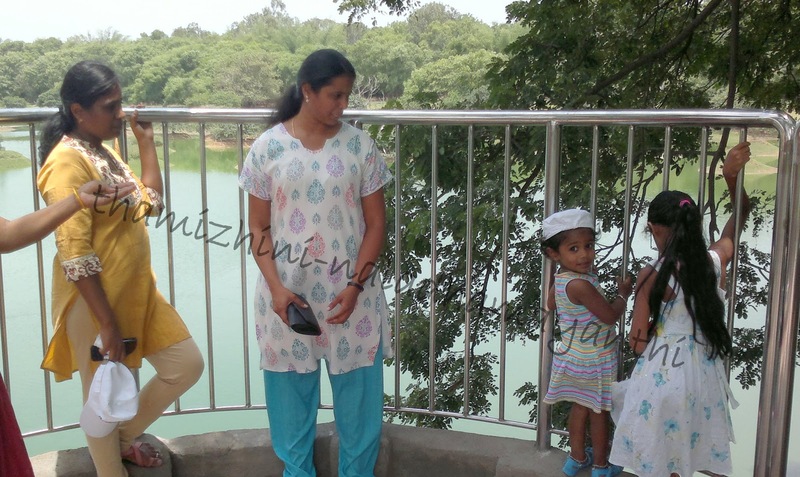 :D Iniya was happily reading the name board with info of each birds and animals and telling her Mom about it. Iniya akka, Appa ve parunga! We all set for a photo! After birds cages we marched to Lions and Tigers. As usual Lion was roaring and Tiger was walking out for its meal. They both look gorgeous compared to last time. Check out the below photo what that Chimpanzee is doing? Public spoiled that too!. 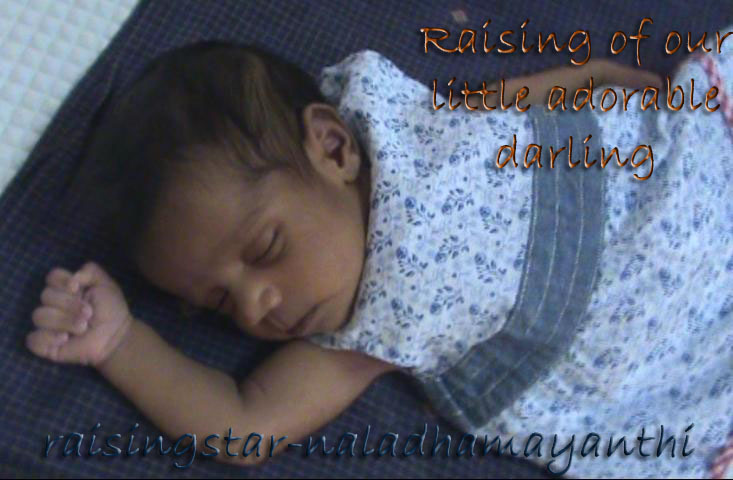 Appa, antha Chimpanzee enna pannuthu? Check out the below video how kids enjoyed walking on the road side. Both were very happy to walk and run at the same time!